The CM6700 Matrix switcher/controller is a very affordable, highly versatile, full-featured cross-point matrix switcher. The CM6700 provides switching and control for 16 video inputs and up to 4 monitor outputs from any one of up to 8 keyboards. The CM6700 Matrix switching unit is designed to be remotely operated from desktop keyboards or external computer systems. The versatile mounting system allows for installation in a variety of ways: either in a 19-inch rack (front or rear mount), wall, or shelf mount. In this way, the bulk of the video cables can be routed to a convenient area such as a telephone room instead of the operator location. Straightforward on-screen menus make programming the CM6700 simple and easy. (The CM6700 even lets you switch to Spanish language programming menus.) The user-enabled character display shows time and date, operation mode, camera number, and a 20-character title for quick, easy identification of the on-screen video. The display characters are white with black outline for viewing under varying lighting conditions. The display can be located anywhere on the viewing monitor and can be turned on or off. The CM6700 supports two system macros, or salvo sequences, to allow quick call-up of up to four cameras to four monitors -- simultaneously. Salvo sequences include preset call of suitably equipped (PTZ or dome) receivers. When an alarm is received, the CM6700 will switch the camera for that alarm to the selected monitors. If a PTZ function is being performed when an alarm is received, an alarm-pending message will appear. 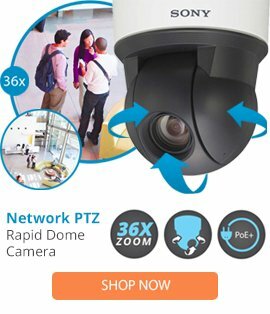 An alarm will automatically call a preset and preposition a camera with suitable (PTZ or dome) receivers. Alarms are cleared either by keyboard acknowledgment or timeout after contact deactivation. Two extra alarm inputs allow for alarm activated salvo sequence call-up. A Form C alarm relay output allows for automatic activation of an alarm event recorder or other device. In addition, this relay is manually controllable from the system keyboard.